Aura Cacia Essential Oil Company: What Sets It Apart? Aura Cacia is a big name in the essential oil industry. You've probably come across this brand if you've bought essential oils from Target or other drugstores in America. Aura Cacia offers 100% pure essential oils and features a unique company structure. The company is a co-op instead of a multi-level marketer like many competitors in the industry. Read on to find out more about Aura Cacia personal care products. Aura Cacia was established in 1982. Frontier Natural Products Co-Op based in Norway, Iowa became the parent company of Aura Cacia in 1983. It has since become a powerhouse in the essential oil world and rivals companies like Young Living and Doterra. They conduct their own quality controls and testing on all essential oil products. The co-op structure means the company has multiple owners and businesses as stakeholders. The individuals and businesses work together to determine products and the direction of the company each quarter. The benefit of a co-op structure is an increase of ideas and insight. There is also increased incentive to make decisions that benefit the greater good. Aura Cacia makes an effort to meet with all growers and producers in the supply chain to ensure the highest quality oils. Aura Cacia oils focuses significantly on producing oils that are good for people as well as the planet. The company runs an annual grant program called the Positive Change Project that helps women overcome obstacles across the globe. Previous winners of this grant have included women who suffered from abuse, drugs, and poverty. The project prioritizes empowering these women to further the education and improvement of women's lives in their communities. Aura Cacia operates a traditional retail business with product offerings available for purchase online and in drug stores. Their products are also available on third-party sites including Walmart and Amazon. All of their essential oil bottles feature screw caps that are childproof, making them ideal for homes with small children. Aura Cacia offers more than 140 single essential oils. These include favorites such as tea tree essential oil, rosemary oil, lemon essential oil, and sweet orange oil. Of these single oils, 37 are certified as organic essential oils. The company offers more than 60 essential oil blends. The most popular of these blended oils are Heart Song, Chill Pill and Energize. Aura Cacia offers an essential oil discovery kit that includes some of the most popular and healthy oils for people who are new to essential oils. All essential oil starter kits come equipped with handy guides and manuals. This literature helps new customers understand the uses, health benefits, and side effects of essential oils. Aura Cacia sells carrier oils, facial care oils, and body care products in addition to essential oils. The company features essential oil roll-ons that allow for easy and swift topical application. 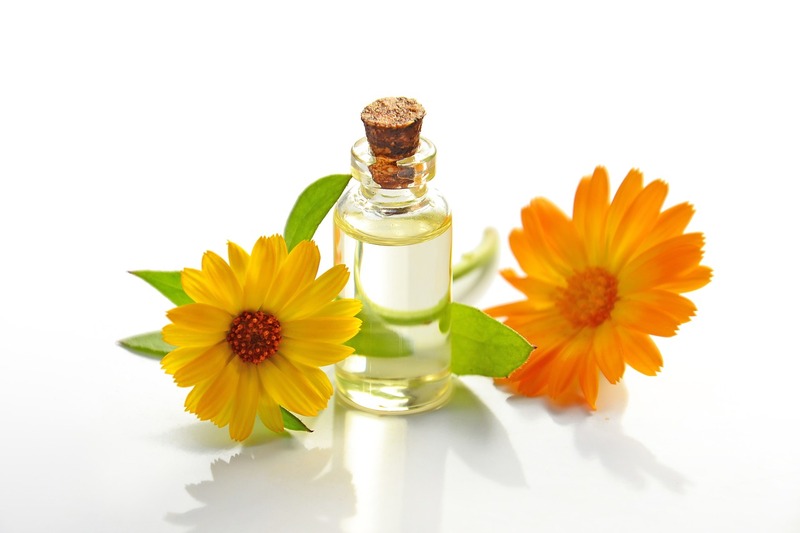 There are also specially blended skin care oils, massage oils, and products for kids. The company works directly with growers to ensure essential oils and organic oils follow strict guidelines. Aura Cacia also works to support the communities that produce its oils. Aura Cacia oil experts are sent directly to the farms and distillers that produce oils to certify correct harvest seasons and inspect plants. Aura Cacia reviews samples of essential oils from each distillation batch. Only oils that pass muster in testing controls are purchased and shipped to Aura Cacia distribution centers in Iowa. Aura Cacia conduct organoleptic, specific gravity, refractive index, gas chromatography mass spectrometry, and optical rotation tests on all essential oil. These tests are also known as sensory evaluations and focus on the aroma, texture, viscosity, color, and taste of essential oils. The consistency and aroma of essential oils vary dramatically depending on terroir. Altitude, climate, soil composition, and the age of the oil can alter results in organoleptic tests. This type of test is highly subjective, but helps to ensure fragrant characteristics of oils. Specific gravity tests focus on analyzing the density of the oil in relation to water. This is particularly important for oils that are marketed for use in aromatherapy and diffusers. The specific gravity of oil can also influence its ability to blend well with other essential oils. This type of testing is a qualitative examination of essential oil purity. A few drops of the oil are placed on a prism and a predetermined temperature. The test measures the amount of light that is refracted through the liquid oil. Optical rotation also verifies the purity of essential oils. A tool called a polarimeter is used to examine the plane of polarization when light is directed onto the oil. Each oil is rated for the angle of polarization and based on whether the polarization is right or left. This test is key to examining the purity of an essential oil in both qualitative and quantitative terms. This test is used on essential oil blends to determine the percentage of each individual oil in the overall composition. The test takes about 45 minutes and consists of separating the oil by using chemicals and electrostatic interactions. Aura Cacia offers a range of essential oils for foot care, home care, and overall well-being. Their organic oils are ideal for use in your home spa, room diffuser, or as body oil. The all-natural products are pure so you ever have to worry about harmful synthetics or chemicals in your oils. The website does not certify essential oils as therapeutic grade, but since they are 100% pure they are safe for diffusers and topical application with carrier oil. The company conducts five types of in-house testing, but does not have these results certified by a third party. The test results are not posted directly on the company website. Aura Cacia also certifies that essential oils are not tested on animals. The Frontier co-op structure of this essential oil company means your dollars are helping a variety of individuals and businesses instead of a corporation. Each purchase also helps to fund the company's social and women's empowerment projects.